23-year-old Rajkumari, is a woman on a mission. 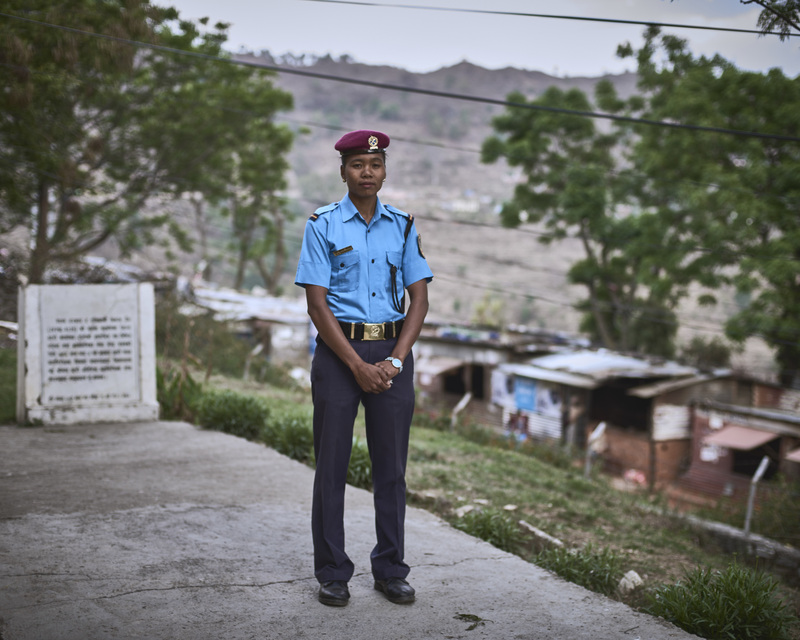 A fully trained police constable, she is passionate about ending one thing – chhaupadi, an ancient period shaming practice in parts of western Nepal. Girls are banished from their homes during their periods and forced to live alone in isolated huts, because they are believed to bring bad luck. Rajkumari is determined to end these damaging myths, and works closely with an ActionAid local partner to do this. She puts on street dramas and broadcasts on local radio to spread the anti-chhaupadi message. She also runs awareness raising sessions in schools. If she hears of a case, her approach is to intervene if she can. If the location is too far away, then she works with the media to try to shine a spotlight. Although chhaupadi has been illegal in Nepal since 2005, deeply-held views mean it continues. Rajkumari said there has been a reduction in cases since the changes in the law and due to awareness raising campaigns. But tackling chhaupadi is a big challenge. A couple of years ago Rajkumari faced huge pressure from the community not to register a case. In the past four years, she has only managed to register one chhaupadi case in Doti district. Rajkumari is determined to keep going though, and to celebrate gradual progress. “Previously, girls were not allowed to go to school during menstruation. But now, they are going to school. With the help of local leaders and policewoman like Rajkumari, ActionAid Nepal have seen more than 1,400 women of reproductive age stop practising chhaupadi in the past 10 years. ActionAid and its partners have also helped to establish at least 11 ‘chhaupadi–free’ communities in western Nepal in the past five years.